It’s all systems go today for Wrexham Glyndŵr University staff who are on hand to help guide prospective students through the clearing process. Across the country today thousands of A Level students will find out the results of months of hard work, studying and exams. For those hoping to go to university the experience can be particular daunting, especially if you didn’t get the grade you hoped for or needed to get onto your chosen course. If you didn’t get the grade you had hoped for, the ‘clearing’ process will be a new and perhaps a slightly intimidating option when you decide what university to choose. The clearing process itself started in July and will run through until September. 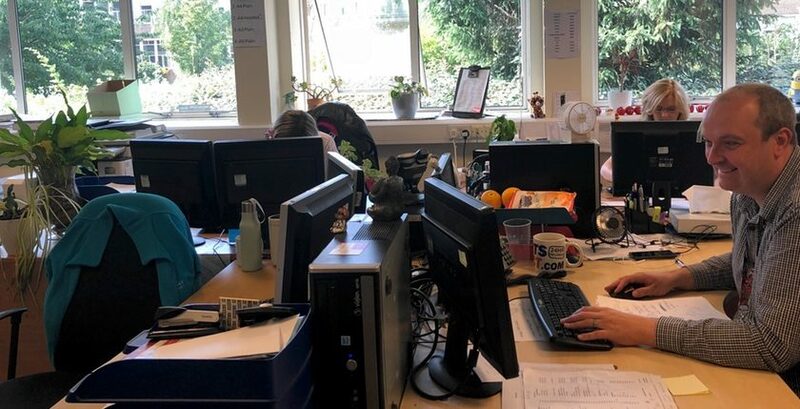 However with thousands of students getting their A Level results, today is seen as one of the busiest days for people reaching out to find out what their options are. At Wrexham Glyndŵr University a team of dedicated staff will be on hand until this evening to answer queries and offer guidance to prospective students. Whilst there is demand for a lot of the courses Glyndŵr has to offer, we’re told that there is always a large interest in professional courses – such as social care and health and nursing. Andy Phillips, admission manager at the university, told Wrexham.com that clearing opened at 7am this morning, with the first call coming through at 7:45am. We’re told that the first email to the team came through at 2am! Over the years the ways prospective students can contact the university has changed, with social media and email now providing new outlets to get in touch. “There are more people contacting us via social media, our webchat and email,” explained Andy. “It makes students feel more comfortable. Clearing can be seen as daunting time for students who may not have got the results that they needed to secure a place on their chosen course. However Andy says he would advise people to not panic as there are options available. He added: “Take your time and made sure that you explore all the options available. 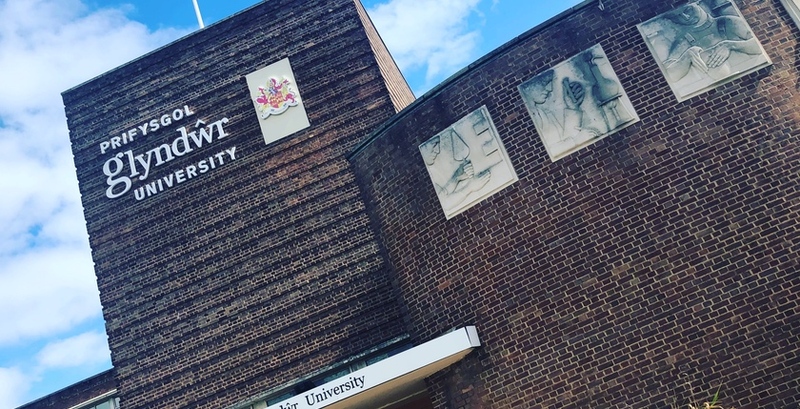 It’s a time of transition for Glyndŵr as it prepares to carry out some of the biggest changes its Wrexham campus has seen in its ten years as a university. In June 2018 the institution formally unveiled large scale plans to redevelop its Plas Coch site – with around £60 million of redevelopment set to take place as part of the Campus 2025 vision. The drastic plans include a new engineering building, extension to the sports hall and high quality student accommodation to attract a greater number of students to live and study in Wrexham. The most striking public change will be the creation of a new ‘Learning Gateway Building’ on the Mold Road entrance, along with new ‘inner gateway’ entrance. Just down the road at the Regent Street Art College it is proposed that the ‘redundant outbuildings’ at the rear of the site are demolished and not listed, to make way for a 107 bed student accommodation facility. Planning applications for the redevelopments have been submitted in the past week – along with plans to dispose of a playing field on Holt Road and field on Gatewen Road, which have been described as ‘enabling’ developments to allow the campus developments to take place. Last autumn saw the first stage of the redevelopment works take place, with Techniquest launching a new science garden on the same day the university unveiled its new look canteen and dining facilities. 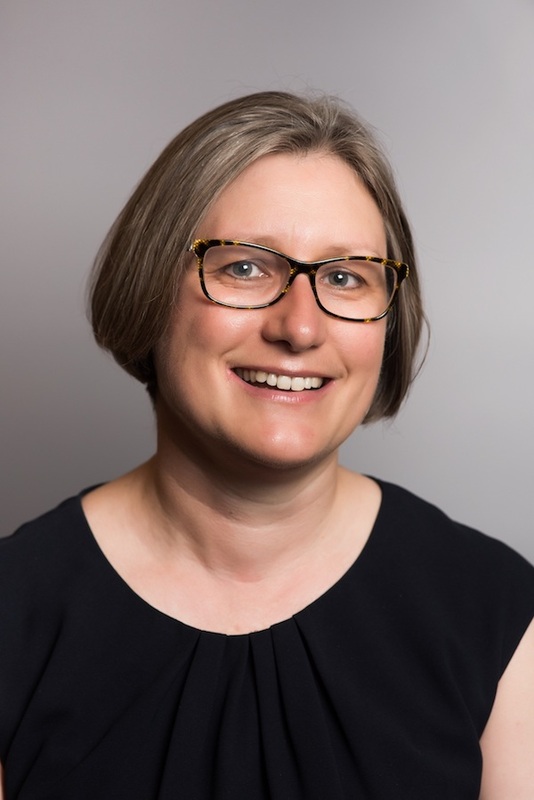 Professor Claire Taylor, deputy vice chancellor, said that investment at the university had already started – citing ‘The Study‘ (a modern, social learning space for students) as an example of the work taking place at Glyndŵr. “We care about the student experience and it is about investing in it,” she continued. “We are keen to provide a supportive university experience and supportive communication to students. This weekend the university will also play host to its Open Day at its Wrexham, Regent street and Northop campuses. During the day there will campus tours and academic staff will beon hand to answer all your questions and offer subject advice. More information about the clearing process at Wrexham Glyndŵr University can be found here. You can also view our coverage of today’s A Level results here!